In a future in which most hereditary diseases have been cured, Jimson Allecca is one of the unlucky ones. His rare form of cancer is treatable only as long as he stays on the colony world of New Terrain. To leave the planet, he’d have to get on a star ship and go for a ride through The Hype. Doing this would quickly and fatally accelerate his condition. Jimson is a celebrated artist with a privileged life, but he decides that his desire to experience “a different light” is more important than reaching old age. He undergoes a sinister telepathic examination and receives permission to leave New Terrain. While hanging around in Port City, looking for a ship to take him off-world, he meets Leiko Tamura, an-out-of-work pilot who becomes his lover. Leiko introduces him to the Port Bar, Rin’s, where he meets Ysao, an engineer and a giant of a man. We didn’t buy each other any presents this year because we spent our December budget on going away for the holidays. However, any hopes that this decision would result in less stuff entering the house were quickly dashed by the presence of secondhand bookshops in the town where we stayed. 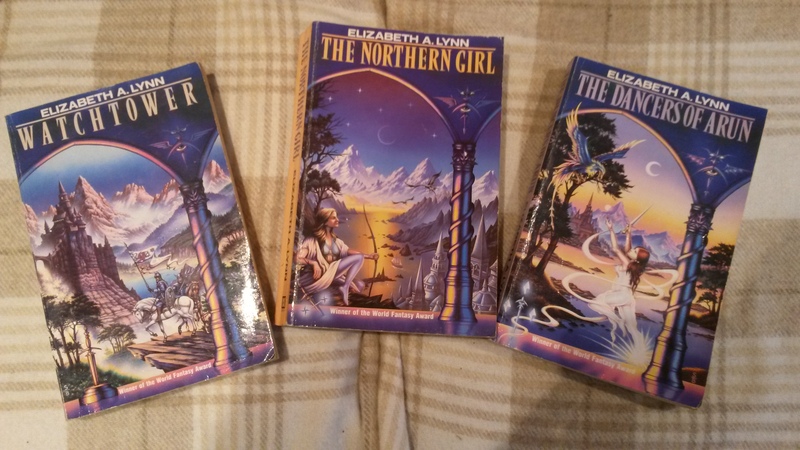 I was very pleased to pick up Elizabeth A. Lynn’s fantasy trilogy, The Chronicles of Tornor (1979 – 80), which I mentioned in my post about her short stories. You’ll often see one of these in secondhand bookshops, but rarely all three together. 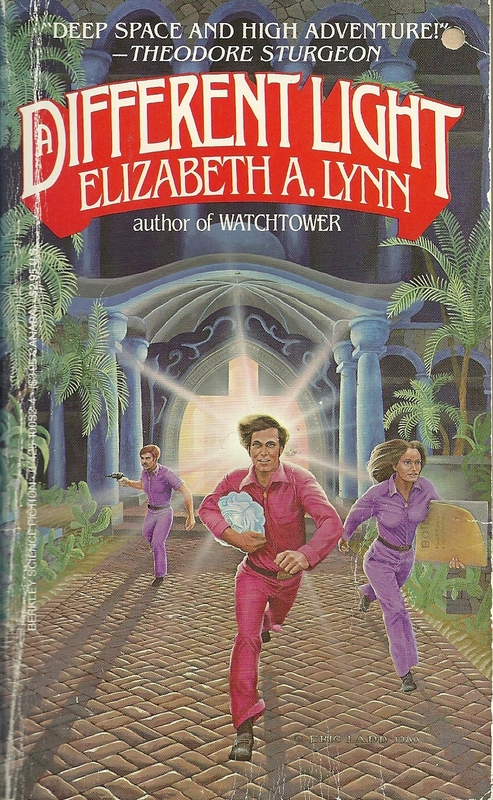 Elizabeth A. Lynn is not a prolific writer. She’s published a handful of highly regarded books over the last thirty years, including a World Fantasy Award-winning trilogy and two science fiction novels. I’ve been looking forward to reading her work partly because she’s known as one of the first science fiction and fantasy writers to offer positive representations of lesbian, gay and bisexual characters. 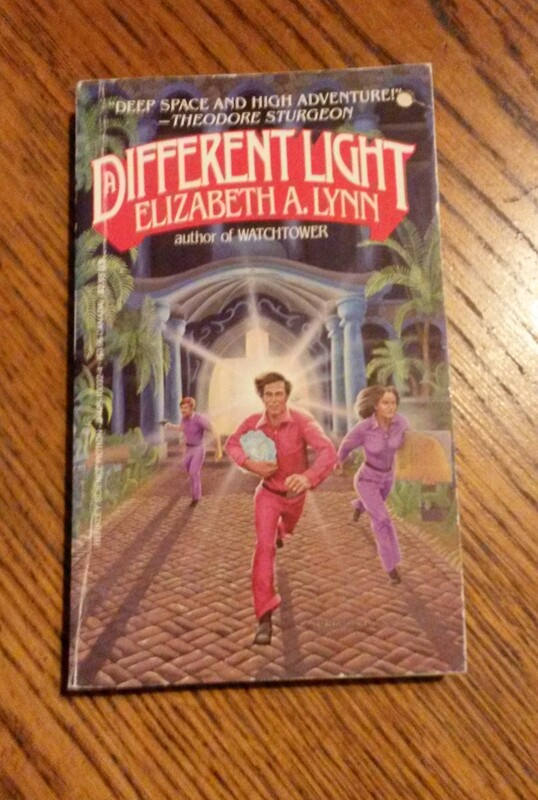 The famous chain of gay bookstores, ‘A Different Light’, was named after her first novel. The Woman Who Loved The Moon and Other Stories is her only complete collection and includes works published between 1977 and 1980. Each story is accompanied by a helpful authorial introduction describing its genesis. Overall, I’m very impressed. Lynn’s writing is fluid and lyrical. She has that wonderful ability to engage your attention in the opening paragraph and, before you know it, draw you into the worlds she creates. 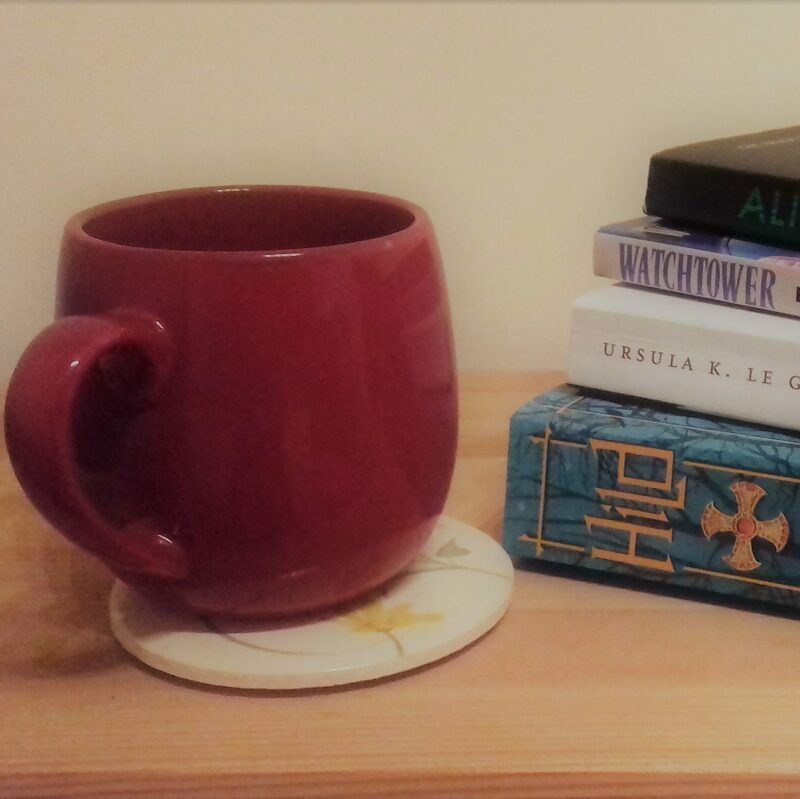 Her stories are often unsettling, occasionally terrifying, and when I consider the collection as a whole, I do notice a recurring concern with death, grief and loss. But if death features heavily in her work, Lynn also places high value on love, friendship and moments of connection between people.